As seen in previous posts, there seems to be an overall consensus that 2011 S&P500 operating earnings will be in the $90-$95/share range. This entry was posted in Investor, Stock Market and tagged S&P500, S&P500 Earnings, Stock Market on December 30, 2010 by Ted Kavadas. Of course, this view of total retail sales, on a per-capita (factoring in population growth) basis – as well as adjusted for inflation – is not one that is often seen. I’ve posted it as I believe that this view is an important one, for many reasons. This entry was posted in Uncategorized and tagged consumer, current economic situation, retail sales on December 28, 2010 by Ted Kavadas. On December 14 the Business Roundtable’s CEO Economic Outlook Survey was released for the 4th quarter. The December Duke/CFO Magazine Global Business Outlook Survey was also released on December 14. 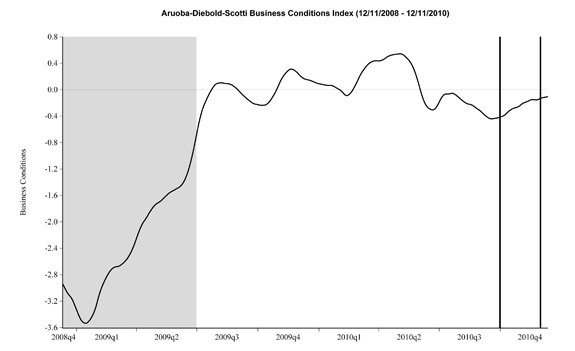 Both contain a variety of statistics regarding how executives view business and economic conditions. This entry was posted in Business, Economic Forecasts and tagged Business, CFO and CEO Confidence, Economic Forecasts on December 27, 2010 by Ted Kavadas. On Sunday, “60 Minutes” did a segment on state budget problems. Both video and a transcript are available. The segment is worth viewing, especially for those who lack familiarity with the issue. While I don’t agree with some of its comments, it provides a good overview of the situation and some of the complexities involved. I have written a few posts on the state budget issue. I believe its severity lacks recognition. This entry was posted in Uncategorized and tagged state budget deficits on December 21, 2010 by Ted Kavadas. In a separate story from Bloomberg of December 13 titled “No New Normal as Strategists Predict 11% S&P500 Gain” the average figures from 11 respondents are similar; a year-end 2011 S&P500 target of 1379 and an EPS of $92/share. Both the Bloomberg and (especially the) Barron’s stories have a variety of economic and market commentary accompanying the forecasts. This entry was posted in Investor, Stock Market and tagged S&P500, S&P500 Earnings, Stock Market on December 20, 2010 by Ted Kavadas. On Tuesday the November PPI figures were released, and they continue their recent trend of being significantly higher than the CPI figures. Should this trend continue, it will of course likely have a significant impact on many companies’ profitability. I believe there are many reasons for why PPI growth is trending significantly higher than CPI. 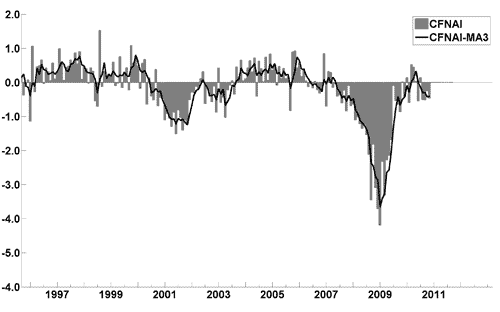 As far as CPI is concerned, one factor that currently seems pronounced is widespread discounting at the retail level. This discounting has widespread future implications. I have discussed other notable factors in the two Pricing posts of September 7 and April 23. This entry was posted in Business and tagged Business, cpi, pricing on December 16, 2010 by Ted Kavadas. 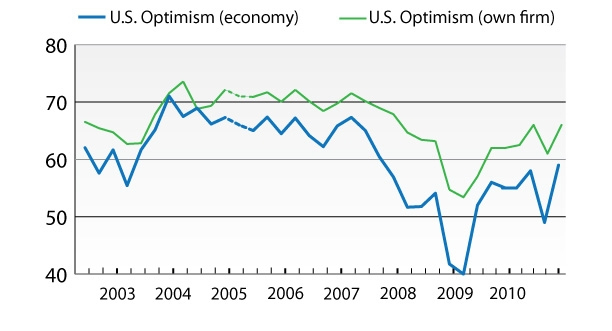 The December Wall Street Journal Economic Forecast Survey was published December 13, 2010. I also found a variety of topics seen in the Q&A (spreadsheet tab) to be interesting. 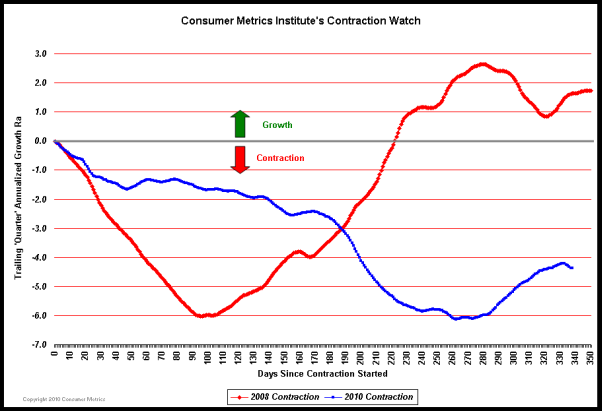 This entry was posted in Economic Forecasts and tagged Economic Forecasts on December 14, 2010 by Ted Kavadas. These figures represent the median value across the 33 forecasters on the survey’s panel. This entry was posted in Investor, Stock Market and tagged S&P500, Stock Market on December 13, 2010 by Ted Kavadas.